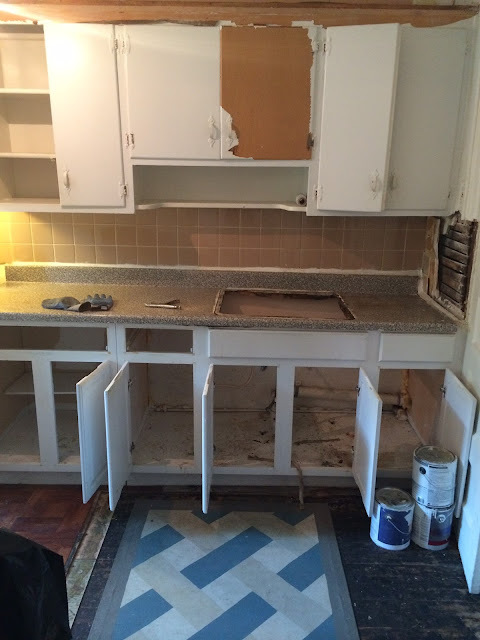 This week's installment of Great Renovations is a departure from the usual full blast gut renovations I normally feature but it is just as impressive of a transformation. 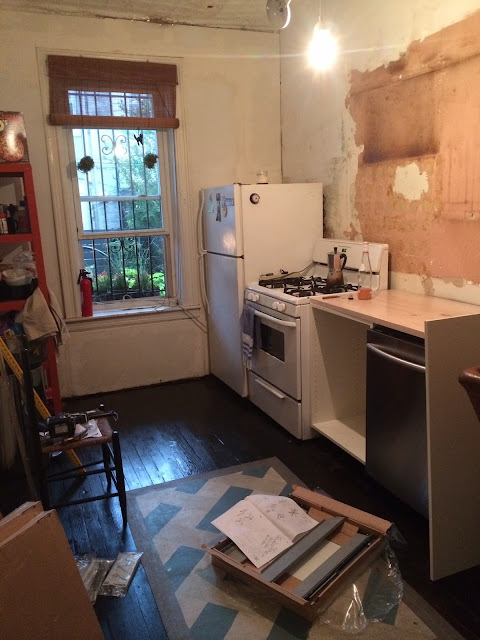 Fellow Brooklynite Megan Pflug put her amazing design skills to use when she renovated her row house kitchen. She kept her design simple but stylish, used creative solutions to keep the cost down and the character up and honored the style of the house while adding personality at the same time. Need I say more? Megan tackled this project by first removing the drop ceiling, finding gorgeous pressed tin underneath. 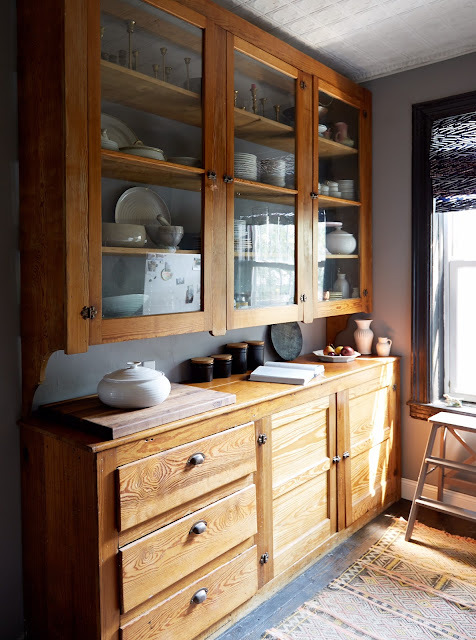 She opted for open shelving and installed a huge antique butler's pantry opposite for more storage. 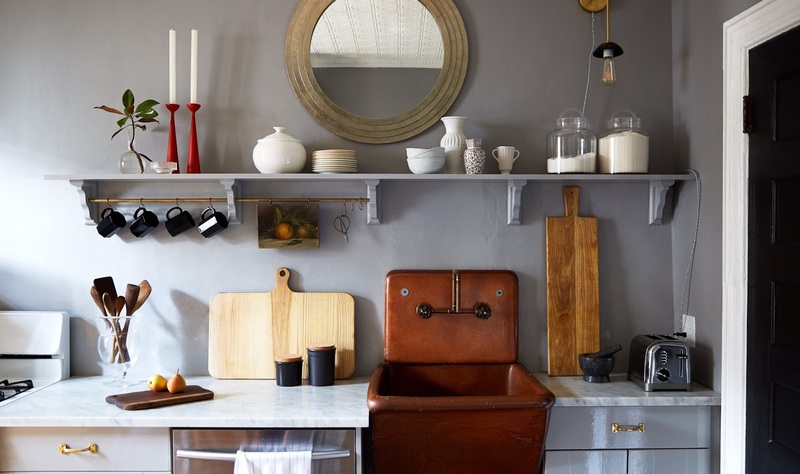 Marble counters and a locally made terracotta sink add texture. 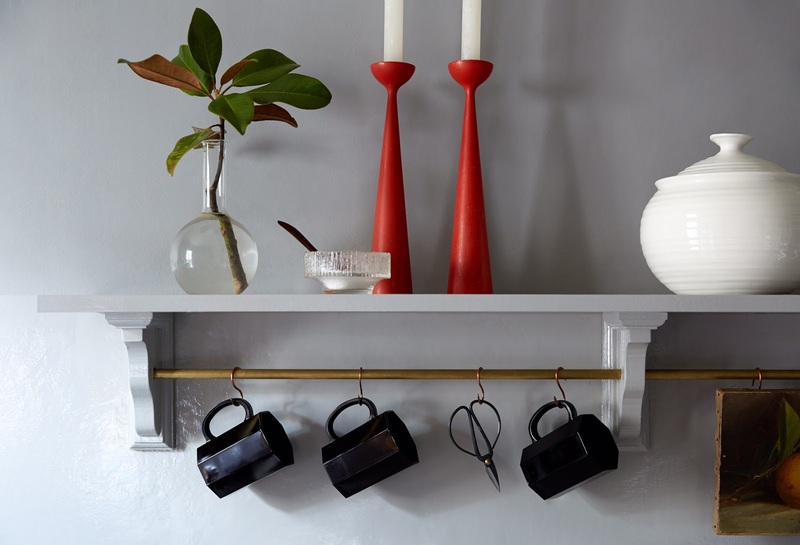 Finally her plumber created a clever and low cost faucet fixture using plumbing supplies. 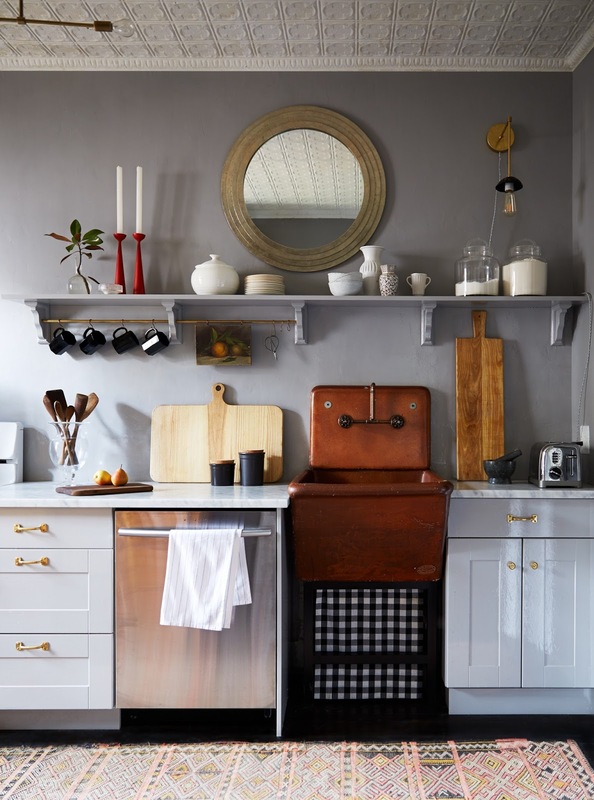 This kitchen has charm for days and highlights the beauty of her home. Thank you so much to Megan for sharing. Head over to her blog and portfolio for lots more inspiration! i just LOVE her kitchen! SO good! Love it - remove the drop ceiling and find a tin one! OMG! Heavenly! 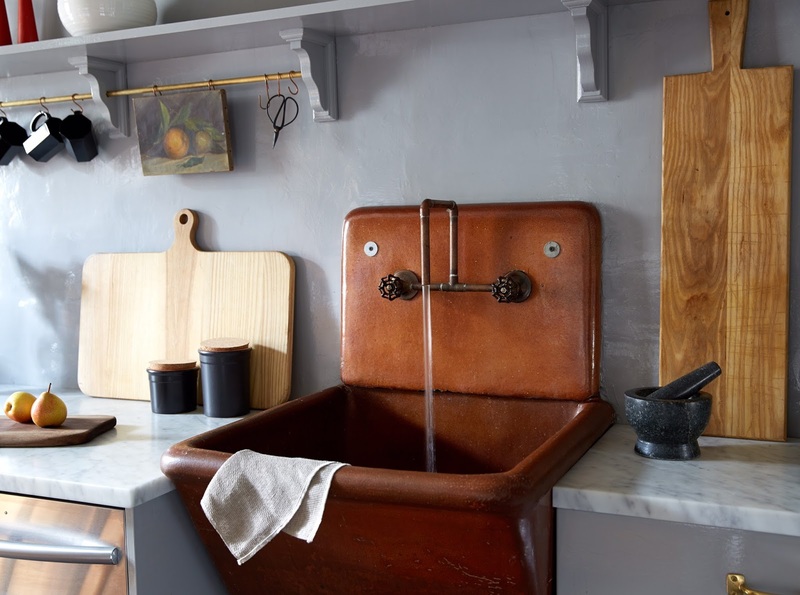 The terra-cotta sink adds so much character! Just amazing!